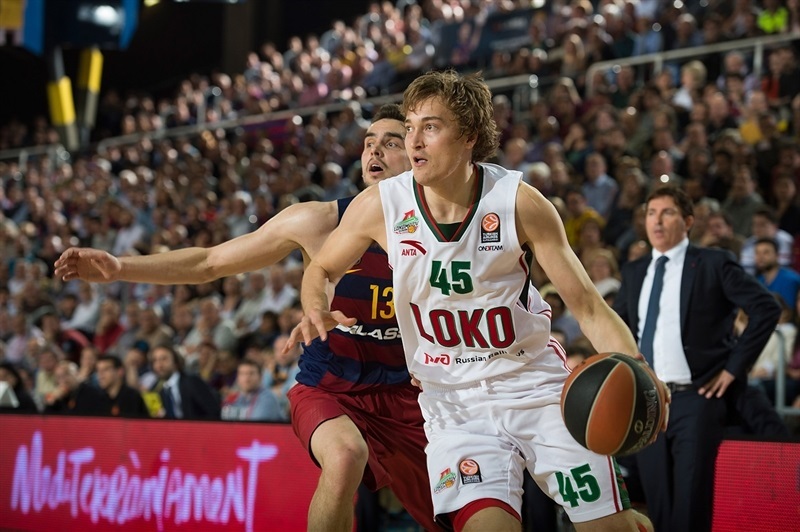 FC Barcelona Lassa came within one win of making it to the Turkish Airlines Euroleague Final Four by downing Lokomotiv Kuban Krasnodar 82-70 at Palau Blaugrana in Game 3 of their best-of-five series on Tuesday. Barcelona has a 2-1 lead in the series and hosts Game 4 on Thursday. Alex Abrines scored a career-high 25 points on 6-of-10 three-point shooting off the bench to lead the way. 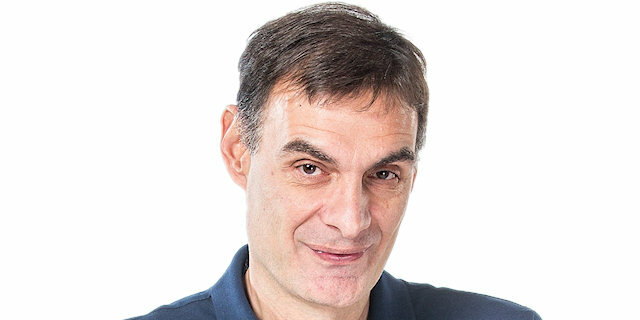 The visitors led 19-23 after 10 minutes, but Abrines scored 13 points, including 3 three-pointers midway through the second quarter, to put Barcelona head 42-36 at halftime. 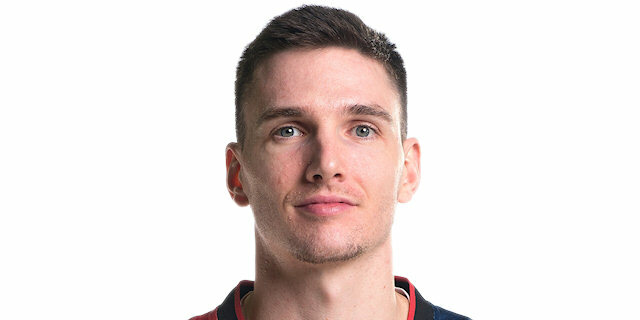 Barcelona found a new go-to guy in Justin Doellman, who got plenty of help from Abrines and Tomas Satoransky to boost the hosts' margin to double digits and the hosts cruised the rest of the way. Satoransky finished with 13 points and Doellman 12. Anthony Randolph led Lokomotiv with 16 points, Malcolm Delaney added 15, while Chris Singleton scored 13 and Matt Janning 11 off the bench. Ante Tomic got Barcelona going with a jump hook, which Juan Carlos Navarro followed with a step-back baseline jumper for a 4-0 lead. Randolph buried a mid-range jumper, which Satoransky bettered with a bomb from downtown. 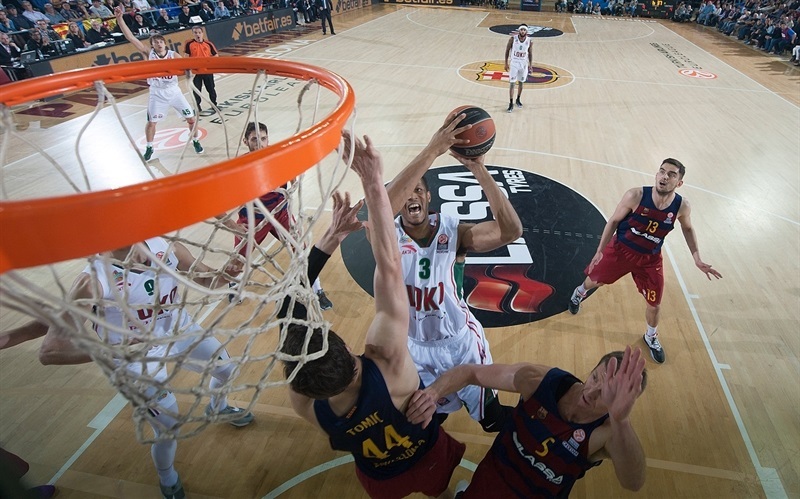 Randolph kept pacing Lokomotiv with a tip-in, but a 'bomba' by Navarro restored a 9-4 Barcelona lead. Randolph followed free throws with a big block on Doellman and Delaney finished a four-chance Lokomotiv offense with a three-pointer that tied it at 9-9. Delaney struck again from downtown to give the visitors their first lead. 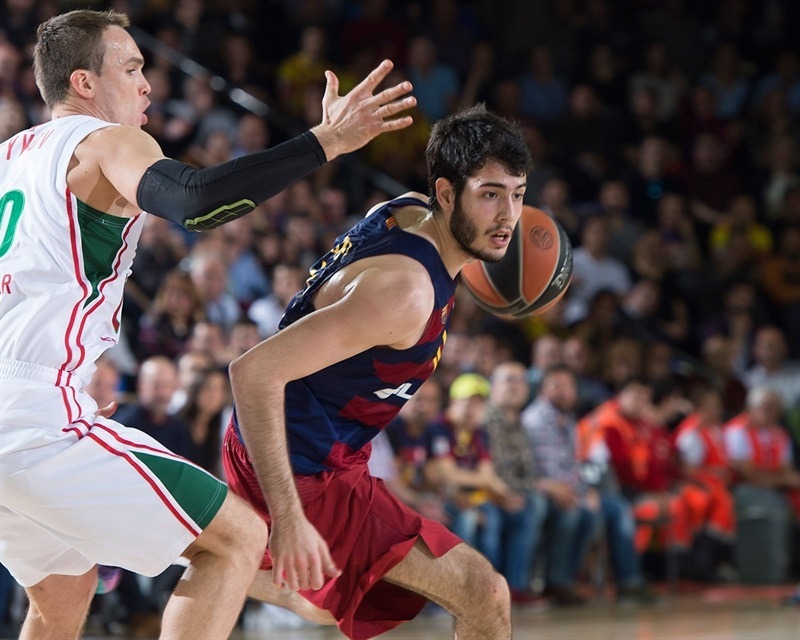 Navarro downed a five-meter jumper and Abrines bettered Evgeny Voronov's driving layup with a triple. Randolph swished a six-meter shot that Satoransky erased with a driving basket to tie things at 16-16. Delaney sank a mid-range shot off the dribble, which an unstoppable Randolph followed with a step-back jumper for a 16-20 Lokomotiv lead. Delaney and Pau Ribas traded triples to fix the score at 19-23 after 10 minutes. Doellman joined the three-point shootout early in the quarter, but free throws by Dontaye Draper kept Lokomotiv ahead, 22-25. 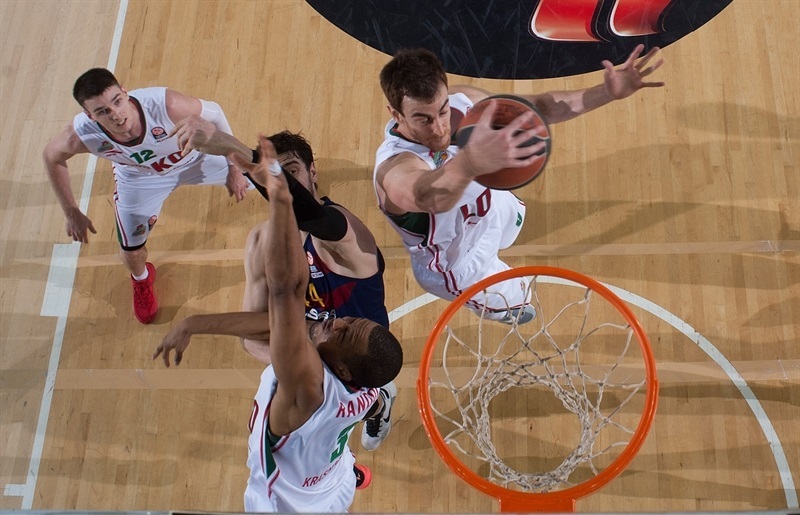 Doellman kept pushing Barcelona with a put-back layup, as Lokomotiv started to miss open shots. Singleton rescued the visitors with a step-back jumper, which Abrines matched with a tip-in. Then Abrines struck from downtown, prompting Lokomotiv to call timeout at 29-27. Abrines buried another one from beyond the arc to cap an 8-0 run in which he had all the points. Singleton banked in a close shot, but an unstoppable Abrines erased it with a driving layup. Andrey Zubkov scored in penetration but, Abrines nailed his third triple in as many minutes for a 37-31 Barcelona lead. Singleton answered from downtown. 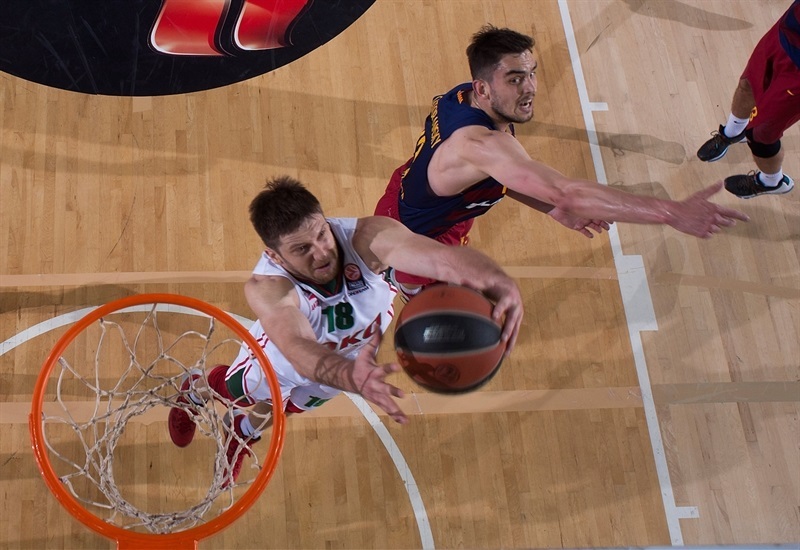 Tomic scored down low and Abrines added free throws, but Draper kept Lokomotiv within 42-36 at halftime. Satoransky took over with an acrobatic driving layup immediately after the break and added a jumper that made it a double-digit game. 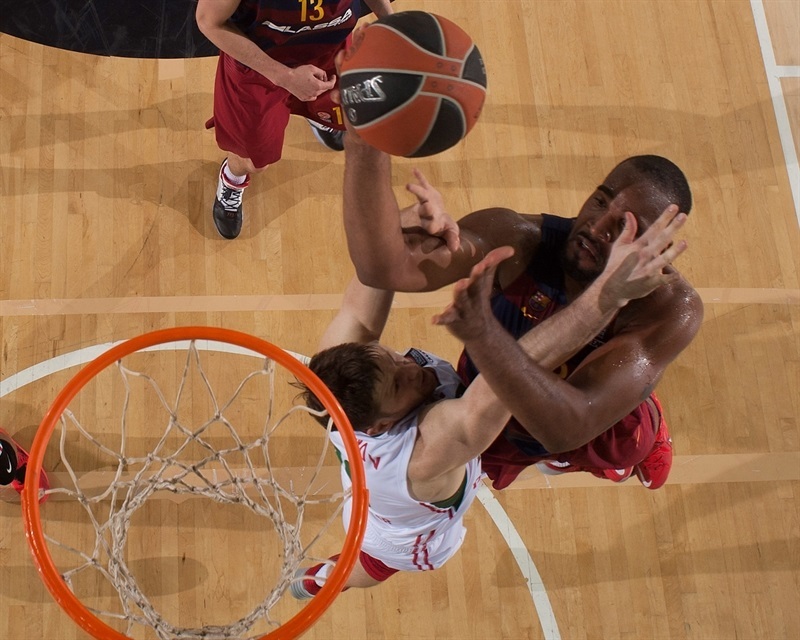 Lokomotiv kept struggling to score and Tomic hit a jump hook for a 48-36 Barcelona lead. Janning tried to change things with back-to-back driving layups, but Tomic found Doellman for a two-handed slam. Sergey Bykov scored around the basket, but Navarro did better with a step-back corner triple for a 53-42 Barcelona lead. Delaney nailed a four-meter jumper only to see Doellman respond with a layup-plus-foul. Lokomotiv kept struggling to find the way to the basket even with twin point guards, Delaney and Draper, together on court. Singleton finished a three-chance Lokomotiv offense with a tip-in and soon added a layup, but Satoransky provided a highlight with a huge fast break slam and Abrines sank a three-pointer. Another tip-in by Singleton brought Lokomotiv a bit closer, 61-50. Delaney dunked off a steal early in the quarter to bring Lokomotiv within single digits, 61-52. 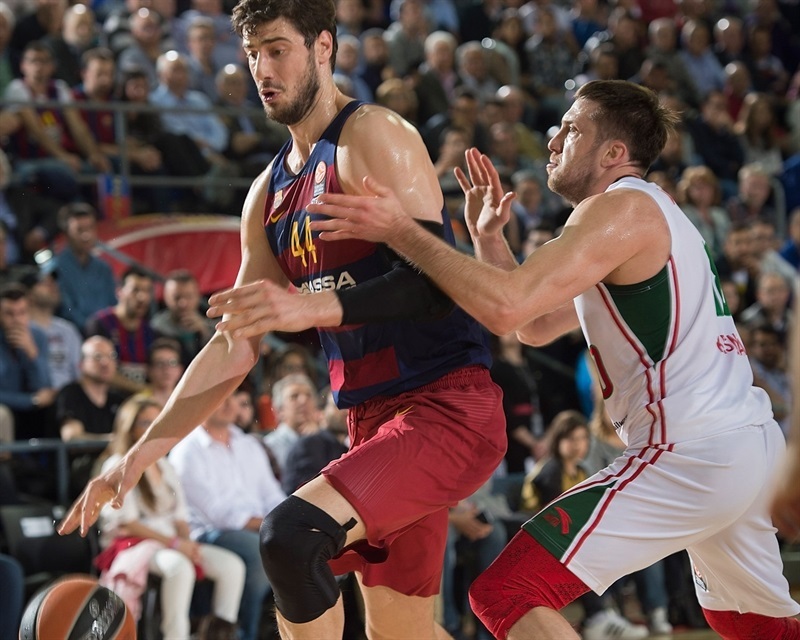 Abrines and Draper traded three-pointers, but Barcelona kept dominating the game with physical, strong defense. 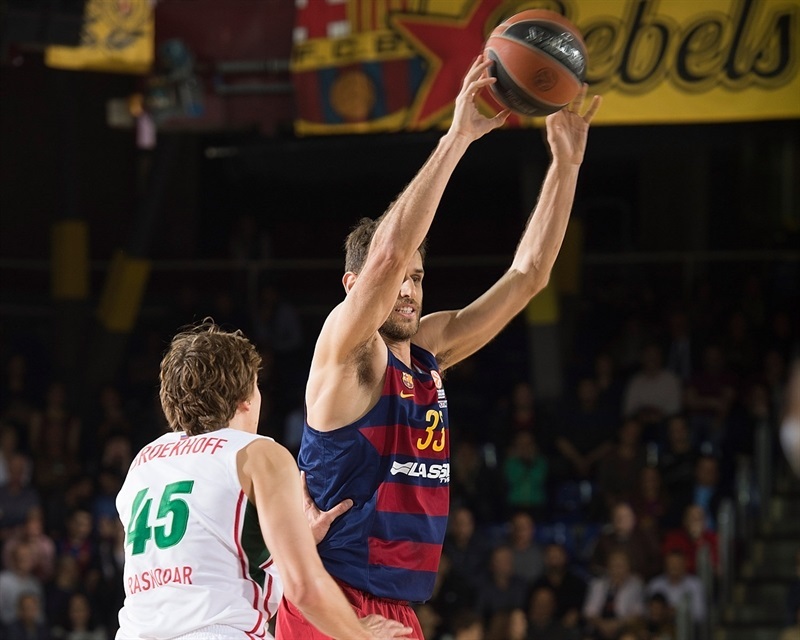 Abrines split free throws and Ribas hit both attempts to keep Barcelona way out of trouble at 67-55with more than seven minutes left. Lokomotiv had entered the foul penalty and Barcelona made the most out of it. Ribas and Stratos Perperoglou split foul shots and a layup by Randolph gave Lokomotiv hope at 69-57. Satoransky stepped up with a put-back layup. Samardo Samuels added a dunk and Ribas scored off an inbound pass steal to seal the outcome at 75-57. Doellman made free throws and even though Janning sank a six-meter jumper, it was already too little, too late for the guests. The Barcelona fans had plenty of time to celebrate a big win. "First of all, I have to thank our fans once again for their big support. We are happy that we shared this win with them. It was a fun-to-watch game, between two competitive teams, in which you have to give your best to win. We were able to stop Lokomotiv after their initial push in the first quarter. They played an outstanding first quarter, with Randolph and Delaney at a very high level, finding good options in one-on-one situations. We gradually were more solid on defense and kept playing the same way on offense. We could have led by more points at halftime but it was a six-point lead. We had a great start to the third quarter, getting a 10-point lead and keeping it for the best part of the second half. We broke the game at the end of the third quarter and the beginning of the fourth and this win leaves us one step away from the Final Four. Alex Abrines had an outstanding game, but he was not the only one. 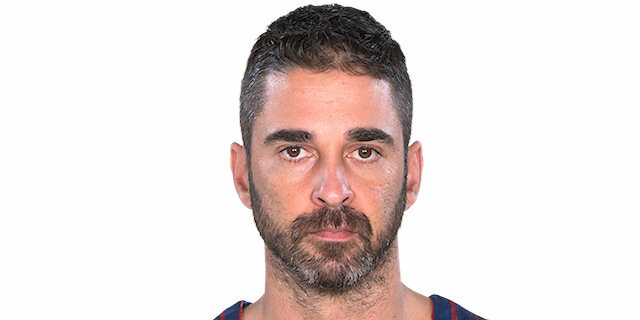 Juan Carlos Navarro played a really important role in the beginning, opening the game with passes and creating for himself and the others. Both point guards played good defense and Tomas Satoransky had a very good game. 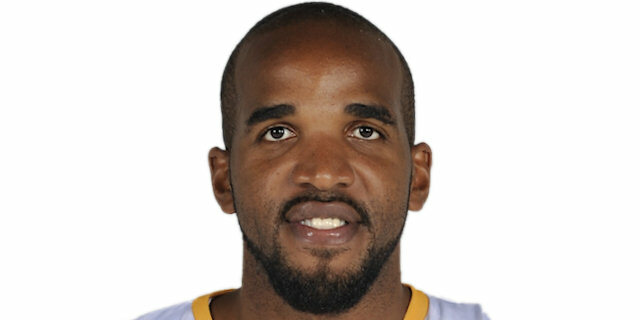 Samardo Samuels and Ante Tomic played well and so did Justin Doellman, on defense and offense. A lot of players did well to help us win the game but Alex had a really high-scoring game, 25 points, and played an outstanding game. We now have two chances to win one game, the first one is on Thursday, one of the most important games of the season. Closing a series is very difficult, it requires intensity on offense and defense. We won two games in this series playing really well, at a very high level. We had to get many important wins to get to this game and want to be in the Final Four. We have prepared for that and now, Game 4 is the most important one." 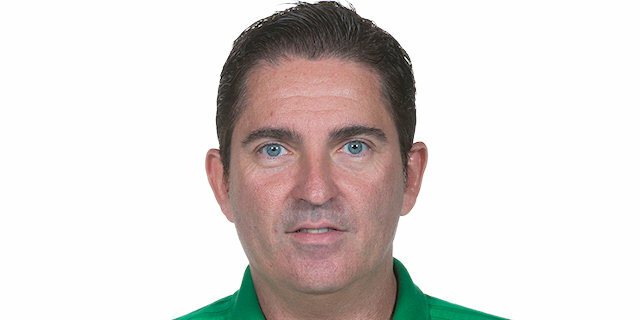 "We have to congratulate FC Barcelona for its great performance in Game 3. 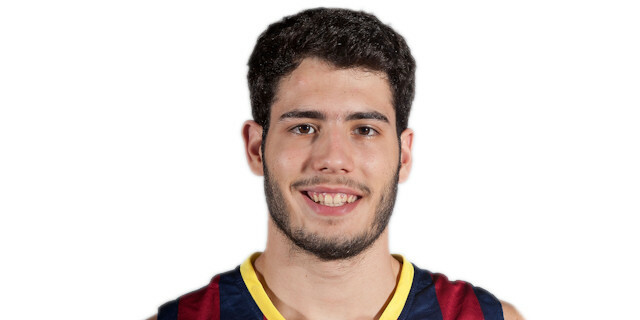 They had some players in excellent shape today, like Abrines showed. It was tough for us to stay in the game but we tried for 40 minutes. We have at least one more game on Thursday and have to pick up our pieces, stay together and do our best at this level. We realize that playing the playoffs is a difficult job for our team, with no experience at this level. Once again, we have to try hard in Thursday's game. We have to see how we react at this level. Of course, it was a big accomplishment for Lokomotiv to compete at this level in just our second season in the Euroleague. We finished first in our regular season group, second in our Top 16 group and had the third-best record in the competition before the playoffs. Some details are important in this kind of game and but I didn't see any of my players happy in the third quarter. Barcelona is very experienced at this level. We have to wait until the last game to have a conclusion about our desire and effort. I don't agree on one game being more difficult than another. For us, it was Game 2 on our home court. They were ready for the game and we were very nervous. Every game is a different story: you can win by 30 or lose by 30, the next game will be a complete different story. We have to do our job and only have one day to analyze what went well and wrong today. We have to play together, as a team, and we will see. We have to accept that Barcelona has the momentum in the series after two consecutive wins but we have to show our toughness, especially mental toughness, which is very important at this level." "I think we did a very good job, on offense and defense. We deserved this win. It is a step forwards and we have to finish the series on Thursday. I am feeling well, physically speaking, without injury problems. I am working for those problems not to show up again and that is showing on the court. On good days like this, you see the rim really big and everything you shoot goes in. It was one of those days, so I tried to make the most out of it and help the team in the best way possible. 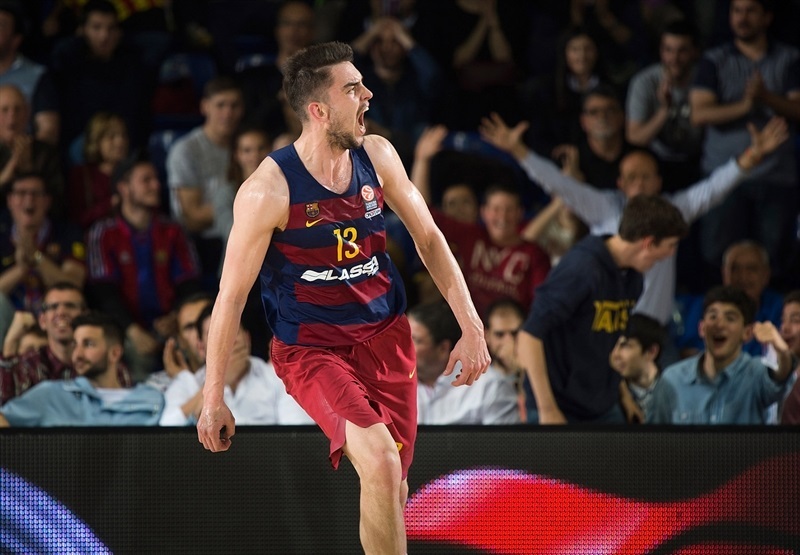 It would be great to make it to the Final Four at Palau Blaugrana, in front of our fans, and we have that option. The series is 2-1 and nothing is done yet. Lokomotiv deserves to be here and will make things hard for us. Thursday's game will be difficult because we have to close the series. We have it in our hands and have to win to go to the Final Four. I think we are able to win again if we play with good rhythm. 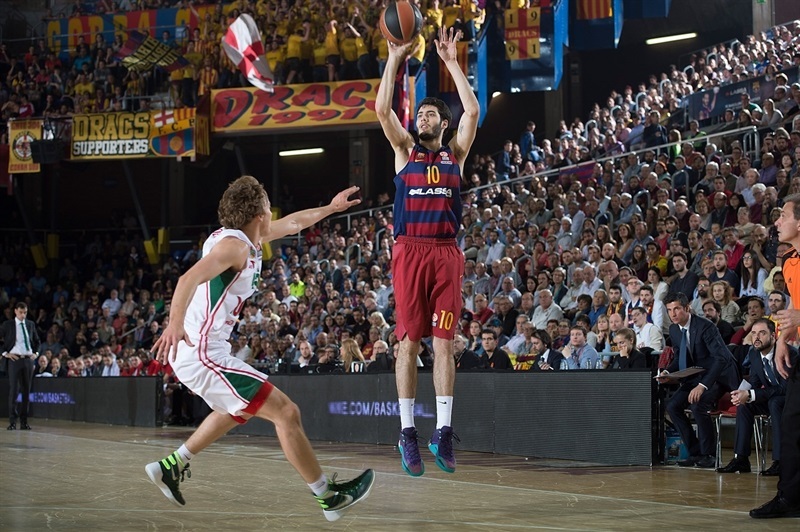 We had a great atmosphere at Palau Blaugrana: our fans gave us the strength we needed when they got closer. It is also their win." "I think we did a very good job today and we are now one step away from the Final Four. That road win comes with the reward that now we have two chances to get that win, but we will try to do it on Thursday. It is very difficult to always do well in this competition. Olympiacos made it to the final last season and didn't reach the playoffs. It is a tough competition, getting stronger every year. We have to focus on what we do and that is winning one more game. Alex Abrines helped us a lot, breaking the game open since the second quarter. He had a great game. I am happy for him and the team. The most important thing right now is winning on Thursday." "It was in important game, Game 3, and we are at home. We have to control home and we've been playing good all year. We just came out and played our basketball and the guys were hitting shots tonight, and we came up with a win. The key was shutting down Delaney. He's a good player. We tried to keep him under control. We have so many guys to throw at him, so we make him work for everything, and that's a lot of pressure on him. But we're going to keep doing the same, it's a good strategy, and hopefully we can do the same again and come out victorious." 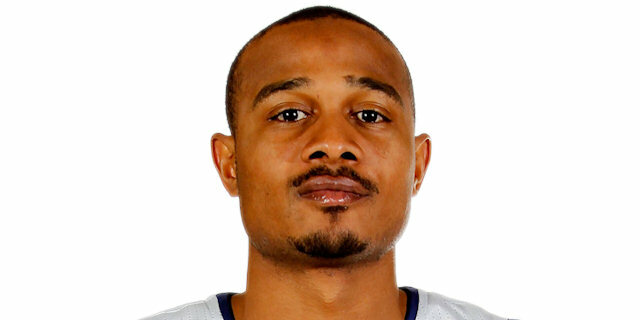 "The first five minutes of the third quarter killed us. They just made some plays. They played a lot more physical than in the first half, so that made it tougher on us to do things offensively. Then they did what they wanted offensively and made shots. We have to look at this game, watch video, make adjustments and figure out ways that we can get easier plays offensively. But the main thing, defensively, we have to show that we can play physical, too. We have to be a lot tougher guarding them, on the ball, off the ball, and then obviously we have to rebound a lot better than we did today." "They're a great team. They have one of the top five defenses, or maybe the number one defense in the Euroleague, and they showed that. We just gotta be ready for the next game. We still have a chance, and we just have to give it our all on Thursday. it's win or go home: that speaks for itself. We have to find a way to stop their runs and go on some runs ourselves."